A service organization of business and professional people united worldwide who conduct humanitarian projects, encourage high ethical standards in all vocations and work towards world understanding and peace. Turkey Shoot for Charity to be held on April 29 to benefit many local charities. Details in news and events. 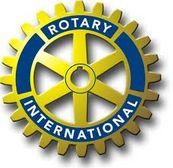 At Clear Path for Veterans, empowering military members, veterans, and their families through traditional and non-traditional, wellness-enhancing programming, the Chittenango Rotary Club obtained grant monies and provided labor for the organization's Art House and Workshop. Du 'Nango For the Cure Duathalon at Sullivan Park. In the first year of the event (2012), 136 racers competed and $6,190 was raised for CNY Susan G. Komen Foundation. This is a 2.5 mile run, 14.3 mile bike ride, and 2.5 mile run team or individual event. According to event founder and organizer Dan Kingsley, we have raised and given $16,000 to the local Susan G. Komen Cancer Foundation. 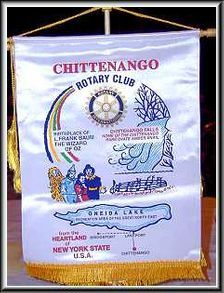 Chittenango Rotary Dog Park & Pavilion, located in Chapman Park on Route 31 near the playground, parking, picnic area and restrooms. There are two sections, for small and large dogs. Locally, we support Chittenango High School scholarships, Dollars for Scholars, Bear Country Little League, Boy Scouts, Concerts in Sullivan Park and pavilions, The Canal Boat Museum, Toys for Tots, The Chittenango Oz-Stravaganza, The Chittenango & Bridgeport Food Cupboards, The CNY Susan G. Komen Foundation, Great Swamp Conservancy, Madison Co. Children's Camp, The Sullivan Library, Hospice of CNY, Clear Path for Veterans, and many more... totaling $22,000 over two years. We have also given the Village the new clock in front of Village Hall; distributed dictionaries to 3rd & 4th graders & thesauruses to 6th graders; supplied both money & labor for Habitat for Humanity projects; participated in the State Adopt-a-Highway Program such as the Route 5 highway pick-up; helped with town park clean-up every spring; provided a phone book directory to over 7,000 households; assisted in leadership training of local youths through Rotary Youth Leadership Awards (RYLA); and sponsored local youths for foreign student exchange. Worldwide, we provided funds for several international projects: Shelter Box - a tent, plus 3 months of food for a family in need in Haiti; water wells in Ghana; Pennies for Polio, providing polio medicine to eradicate polio in the world; Operation Walk; CNY Books for the World; Nicaragua project in El Sauce; Medical Ministry International in Ecuador; and stipends are provided for our Youth Exchange students. We support the Rotarty Foundation, from which some money comes back to our club in grants. Over the last two years we have contributed about $12,000 to international projects.